Wouldn’t it be wonderful to have a wooden flooring in your bathroom? However, not only does wooden flooring cost an arm and a leg, but it also isn’t exactly bathroom compatible. What you can do is replace your old and broken tiles flooring in the bathroom with a wood finish vinyl flooring. The finishing of the vinyl wood flooring looks exactly like wood and is even textured to resemble real wooden floorboards. The vinyl wood flooring is extremely affordable and is also easy to install. For a small-sized bathroom, the installation can be completed within a day. Vinyl flooring is also very long-lasting, sturdy and durable. It will be able to withstand the excessive moisture in the bathroom without spoiling. A bathroom is a place where people keep their creams, moisturizers, scrubs and other beauty products. Leaving these products lying around all over the bathroom can make the place look messy and can also attract a lot of dust. To avoid this you can install storage cabinets in your bathroom. Not only are these storage cabinets extremely useful in preventing clutter, but they also can give the bathroom a vibrant and fun look. Nowadays you get tons of colorful and patterned PVC bathroom storage cabinets online. Available in fun and vibrant shades of yellows, blues, pinks and many others, these cabinets are long-lasting and affordable too. You probably won’t realize it until you actually make the change but changing your bathroom faucets, showers and shower heads can play a major role in giving the bathroom an upscale and classy vibe. Strip off those old school shower heads and faucets and replace them with beautifully designed new age stainless steel items. If you are an environmentalist, you can even opt for the low flow faucets as they will help you reduce the water consumption. If you have a slightly large sized bathroom, a great way to revamp the space is by installing artificial landscaping products. You can add a faux flower arrangement on your bathroom sink. The flower arrangement can include artificial roses, orchids, sunflowers and other calming and visually pleasing flowers. You can also install potted artificial plants in the corners of your bathroom to give the space a lush green and captivating vibe. When taking a long bath in the tub, light scented candles to add to the overall vibe of the space. Most artificial plants and flowers that are available in the market today are sturdy and durable and can withstand extreme moisture and wet conditions without deteriorating or fading. Changing the lights in any place can have a major impact on the overall look of the space. If you are going to change your faucets, you should consider changing your light fixtures too. Opt for light fixtures that match or complement your faucets and shower heads. There are countless decorative light structures available online and in retail stores that are affordable yet stylish. You can even visit your local flea market and search for unique and charming light fixtures at affordable and inexpensive prices. Don’t leave your bathroom walls cracked and chipped and lifeless. This can make your bathroom look absolutely awful. Repainting the bathroom walls won’t cost you much. If your bathroom walls are small, you can probably take up the painting job as a DIY project. You can opt for pastel and pretty shades for your bathroom walls. Light pinks, calming blues, vibrant yellows and olive greens look particularly good on bathroom wall panels. If you aren’t in the mood to be experimental with the color of your bathroom walls, you can just paint the walls white or beige to keep it simple and classy. If you have a plain and simple bathroom but want it to look a little more fun and interesting, you can get the beautiful wall and tile stickers and use them to decorate the place. The wall and tile stickers that are available are of industrial strength and can withstand all kinds of wear and tear and humidity and moisture. These stickers are available in countless different colors, styles, patterns, and designs. You can get abstract, geometric, floral and many other patterns. People who are redecorating their children’s bathrooms can also find tons of fun cartoon character stickers for the walls and tiles of the bathroom. These stickers are available on many online portals or can even be purchased from your local décor store. The stickers will last for many years on end and will not spoil or tear when exposed to excessive heat, moisture, and humidity in the bathroom. Redecorating your bathroom cannot get easier and more affordable than this. Just use any or all of the above-mentioned ideas to give your bathroom the perfect makeover. These ideas are tried and tested and have given people results that were much better than they expected. We guarantee that you too won’t be disappointed or let down with the eventual outcome of your bathroom makeover. 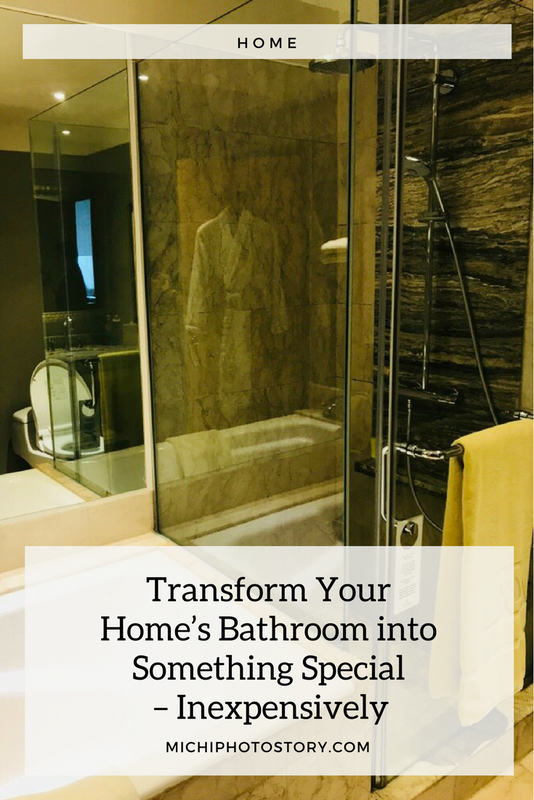 Give your old and boring bathroom a brand new vibe and feel with affordable and inexpensive makeover ideas that can pretty much be carried out singlehandedly.